This past Monday, February 4, 2019, a medical cannabis patient in Utah plead guilty to a Class B misdemeanor for possession of a controlled substance. The patient had a quantity of CBD oil in his trunk. He used that oil as medicine to treat epilepsy. However, the patient purchased the oil in Oregon and it contained small amounts of THC, though not an intoxicating amount. Oregon allows its CBD oil to contain small amounts of THC. Utah does not allow the presence of THC in its CBD oil. The patient was arrested following a car crash and charged with a traffic infraction and the Class B misdemeanor mentioned above. He suffered a seizure while driving and after police arrived they found the THC-laced CBD oil in his car. The patient was required to pay a $340.00 fine and was sentenced to six months probation. If he remains out of trouble for six months, his record will be expunged. This case may serve as a template for other states when dealing with individuals who possess CBD oil or other non-intoxicating variations of the cannabis plant or its extracts. However, individuals must also be cognizant of the fact that it is still illegal to transport cannabis in any form across state lines. While it is highly doubtful the Department of Justice would bring suit against this patient simply for transporting CBD oil from Oregon to Utah, it is possible. Another way states could choose to address the issue is the way most states are choosing to deal with criminal possession of small amounts of marijuana. Many district attorney offices have chosen to decline to prosecute individuals stopped by police and who possess cannabis with THC present. The same approach could have been taken in the present case. The patient claimed to have had the accident due to a seizure, not because of intoxication. Indeed, the CBD oil found in his car contained only small amounts of THC. 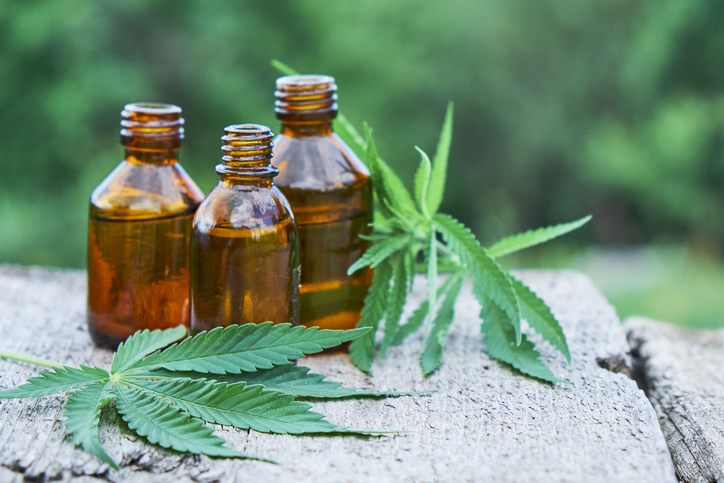 If CBD oil and other medicinal variants of cannabis are going to truly be considered medicine, states may also choose to take the stance that NO prosecutions for its possession will be brought (as long as the possessor has a valid medical cannabis card). Ultimately, the patient in this case will most likely end up without any criminal record and effectively paid a fine for a traffic infraction. States and their lawmakers must take hard look at how they will address the use of medicinal cannabis, whether the lack of intoxicants within such medicine prevents any prosecution during traffic stops or accidents, while considering the rights of all individuals using the road. This issue will most likely come up again throughout the country. How states choose to deal with it will set the stage for how much future litigation we see.